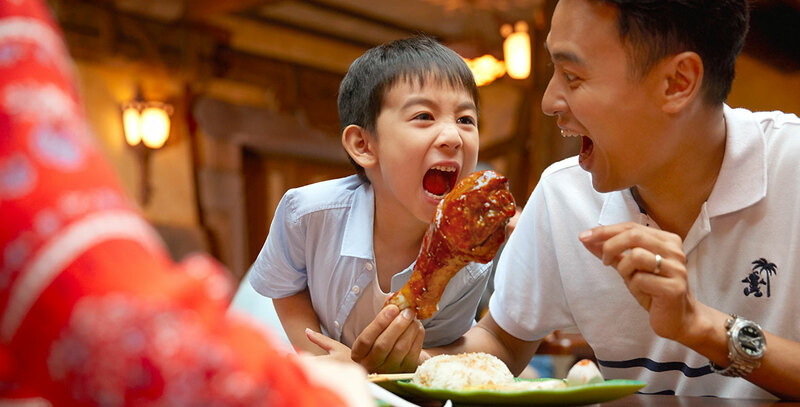 Tribal Table Quick-service restaurant in Adventure Isle at Shanghai Disneyland; opened June 16, 2016. Guests watch the action of live cooking with woks and rotisseries. The restaurant represents a gathering house in the Arbori village, with native artwork and artifacts on display.